Today there are many recharge apps available with which you can recharge your phone credit through your mobile phones. So you do not have to go to a mobile recharge shop to do this. And the offers some of the recharge apps give out are unbelievable. 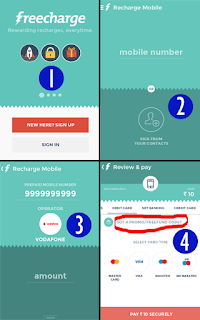 Some of the main recharge apps prevailing today are FreeCharge app and Paytm app. And these apps are completely secure too. 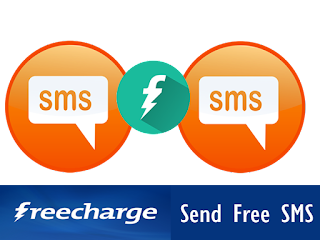 You can download FreeCharge app for your phone from this link.With this app you can recharge your prepaid mobile for all networks including Airtel, Vodafone, Reliance, Tata Docomo, Idea, Aircel, BSNL, etc. You can also make postpaid bill payments for these operators and also make DTH recharge for Tata Sky, Airtel Digital TV, Reliance Big TV, Dish TV, Sun Direct, etc. the payments can be made through debit or credit cards or net banking. 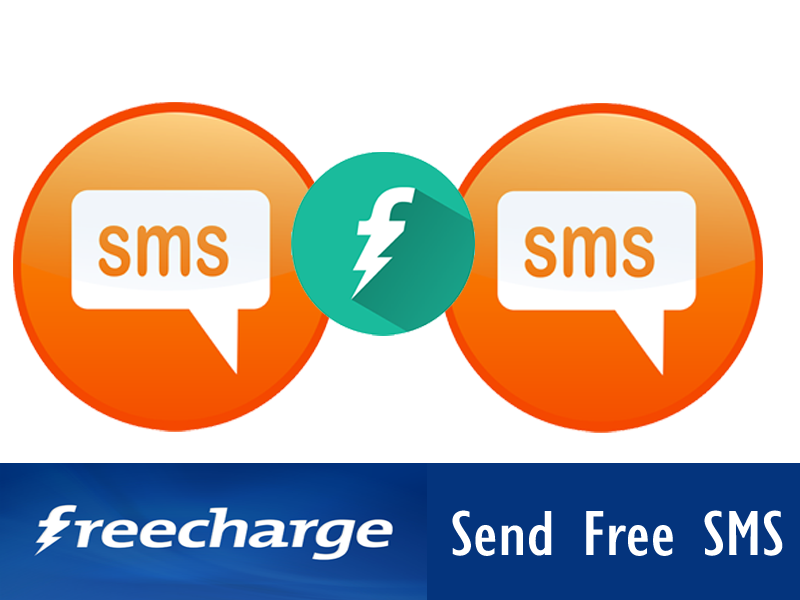 FreeCharge is completely secure and the recharge can be done within seconds. And it also offers free discount coupons for both online and offline retailers. After downloading the app you can login via your Facebook account or Google Plus account. Now to come to the main topic: how to send free SMS. FreeCharge provides a great offer where you can get 50 rupees cash back for a recharge of 10 rupees. Yes, you heard right. Recharge for 10 rupees and get 60 rupees credited in your phone. With this 60 rupees in your phone you can make any SMS offer that is available for your mobile network. This is a one-time only offer that is after downloading the app; you can only get this amazing offer only once. 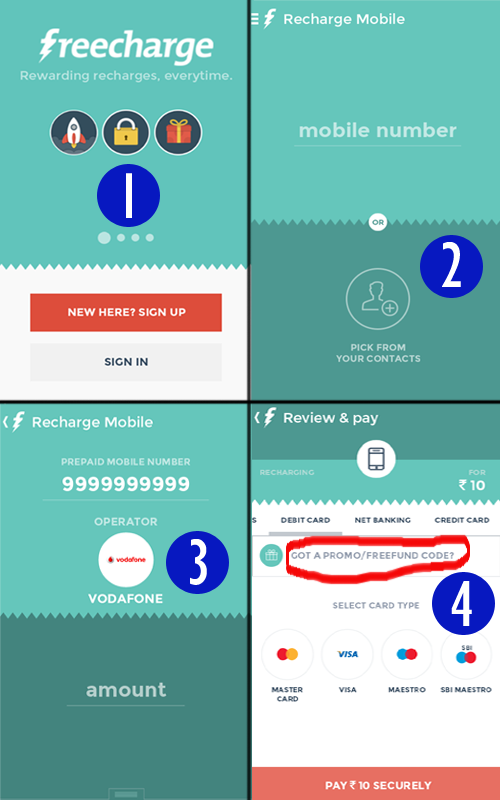 Following are the steps to make this recharge. 2.Then just enter the phone number you want to recharge. 3.Enter the amount (Rs. 10) and select the mobile operator. 4.Fill anyone of the Coupon code specified below. That’s it. Your phone number is credited with 60 rupees. Now you can activate latest SMS offers through the links given below for different operators.Also you can activate offers from app itself. hanging from trees), or sun dial can complement any landscape or garden and work well in small spaces. struck again by the celebrating bodies all around him. Smartphone users increasing daily, groundbreaking organizations are searching for approaches to make their business versatile agreeable. SMS is an attempted, tried and has been around for more than 20 years.Right now Bulk SMS Service were use in every business for promotion. Great Article! Bulk SMS Gateway Provider . The effect of the marketing efforts can become really less intense if you are not using the techniques properly or don't have proper data regarding your potential customers. I am very happy that have been using real estate text marketing app and it is absolutely good. You can also try it for sending bulk SMS at very low prices.